It’s obvious that landscaping improves the way your home looks. In-fact, a home that features an elegant landscape is sold at a higher price. The secret to a beautiful landscape lies behind its design. Landscaping requires you to dig deep into your pockets because you have to pay for the materials and the design. Landscaping design cost can be on the low end if you will be the one doing everything. But this is not recommended if you don’t have a topographical map of your home. This is because the opportunity to make mistakes is high, and that can require the project to be restarted from scratch. Involving a qualified landscaping designer will make the job easier and reduce your costs. You can actually pay for a landscape design, and do the planting on your own. 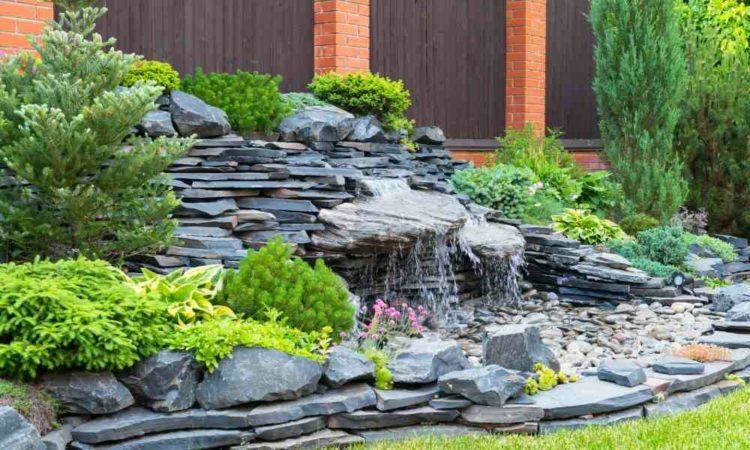 It is difficult to determine how much money you need for your project if you don’t have a landscaping design. 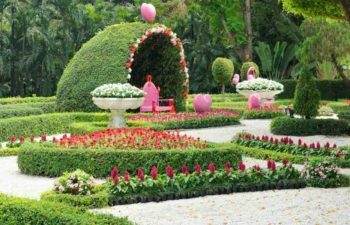 Since you may not know about the key elements of your home such as drainage, water pipes, and boundaries among many others, you should consult a renowned landscape designer. Such a professional will charge you an hourly rate or a fixed rate. The advantage of being guided by an expert is that he can help you in picking the plants. 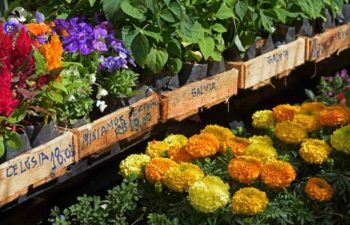 For instance, a seasoned landscape designer knows the plants that can be included in your bed to get rid of insects and pests. 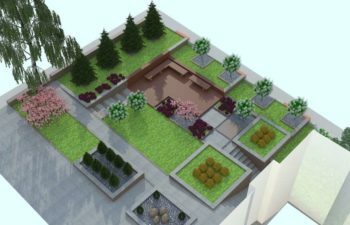 As a matter of fact, landscape design cost is determined by the size of the garden. The cost is also likely to go up if there are many structures that need to be demolished to create room for the bed. Landscape grading is done to keep your house free from flood water. If this water is not contained, it can penetrate through the floor and cause damage such as mildew. If this happens, the homeowner has to spend thousands of dollars to reinstall the floors of their house. Grading helps in redirecting ground water away from the house. During the process, some areas are raised while others have to be lowered by digging. Grading is highly recommended because it creates a favorable environment for plants to grow. But if the ground is flat, the crops start rotting due to excess water. A good landscape design should create ample space for the activities that happen within the confines of your home. And you should consider the number of people that are involved in those activities. If you have five children that play in your backyard, you must leave enough space for them, or else they will be stepping on your plants. If there are many guests that sit around the barbecue area, then you have to create space for them too. Dogs also need their space for running around. You therefore have to consider them in your plan. If the space is too small, they will most likely trample on your plants. 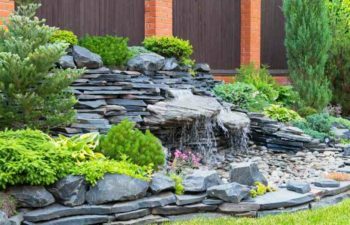 If a gazebo, fountain, pond, or a misting system is included in your landscape design, you should be ready to spend a bit more money. The likes of a gazebo and fountain will give you a run for your money. This is because they’re expensive to construct. Besides that, they require routine maintenance. If there will be any fish in your pond, you must budget for their food because they have to be fed every day. Ponds sometimes require de-icing during winter. Plants can’t survive without water, and that’s why you must budget for an irrigation system. Watering the plants directly with a hose pipe can result in soil irrigation. It’s therefore important to install pop up, or rotor sprinklers. The sprinklers are operated by the flow of water which means they don’t require any supervision. Pop up sprinklers are very efficient in watering flower beds because they can never be damaged by lawn mowers thanks to their retracting feature that hides them beneath the grass. On the other hand, pop up sprinklers are expensive due to the fact that they cover a small area and therefore you have to install multiple heads. If you’re on a low budget, rotary sprinklers are highly recommended because one head covers a wide area. A few rotary sprinkler heads are therefore enough for your beds. If you don’t have enough water for your plants, you can opt for a drip irrigation system. The system uses water more efficiently than any other system. In fact, two gallons of water are enough to last for up to one hour. The pipes that are used in this system have small holes that release water slowly. The pipes are placed close to the roots so that the water can be easily taken in by the plants. Even with all the designing and construction, a landscape can never last if it’s not maintained. Maintenance here means that the plants have to be pruned, mulch has to be laid down and fertilizer has to be applied. 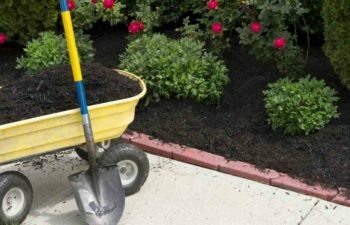 Fertilizer can be quite costly especially at the onset of summer because that’s when demand is high. If you can’t afford inorganic fertilizer, you can buy manure from the farms that are in your neighborhood. 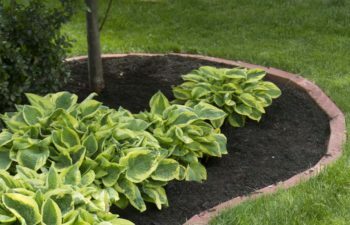 Mulching is done to keep soil erosion at low levels, and to keep the plants hydrated by reducing the rate of water evaporation. Lawns are time consuming but can really add to the appeal of the yard. 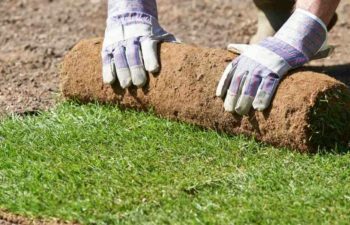 Newly laid turf needs extra special care. This puts that extra spin of new lawn care. No matter how simple your landscaping design is, you might require a few people to help you. If you choose to work on the project alone, it will take a bit longer for it to be completed. Just remember that there are heavy materials such as decorative rocks that you can’t carry on your own. Regardless of that, there are some tasks that can only be done by an expert. 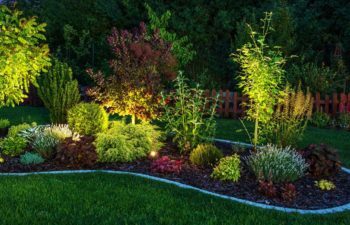 Even if you sign an agreement with a landscaping designer, he will have to subcontract the job to another expert and this will definitely hike the cost of the project.